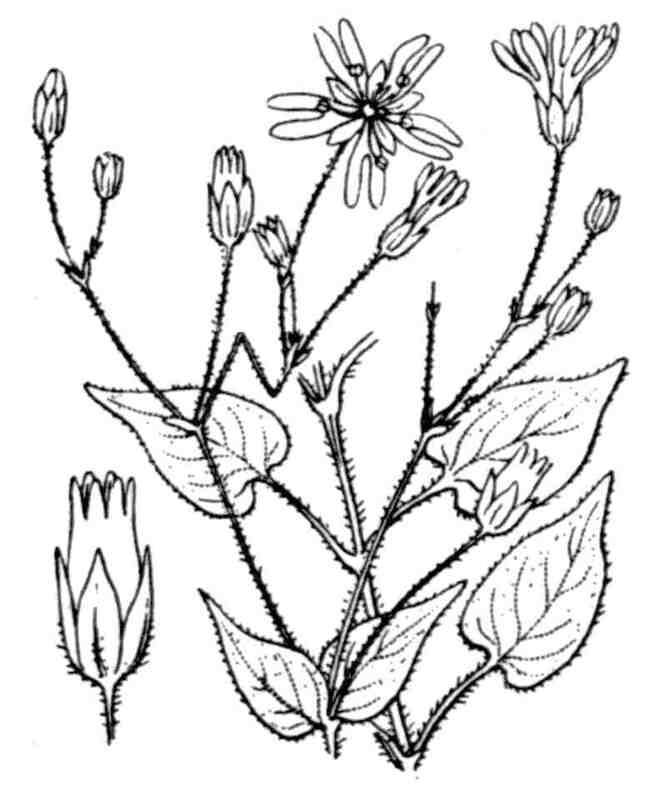 LATIN: Stellaria nemorum subsp. nemorum L.
Habitat: (view in new page) :Key: Beech/fir woods on neutral soil.Secondary : High beech forests. Habitat : (s'ouvrir nouvelle page) :Clef : Hêtraies-sapinières sur sol peu acide. Secondaire : Hêtraies d'altitude. 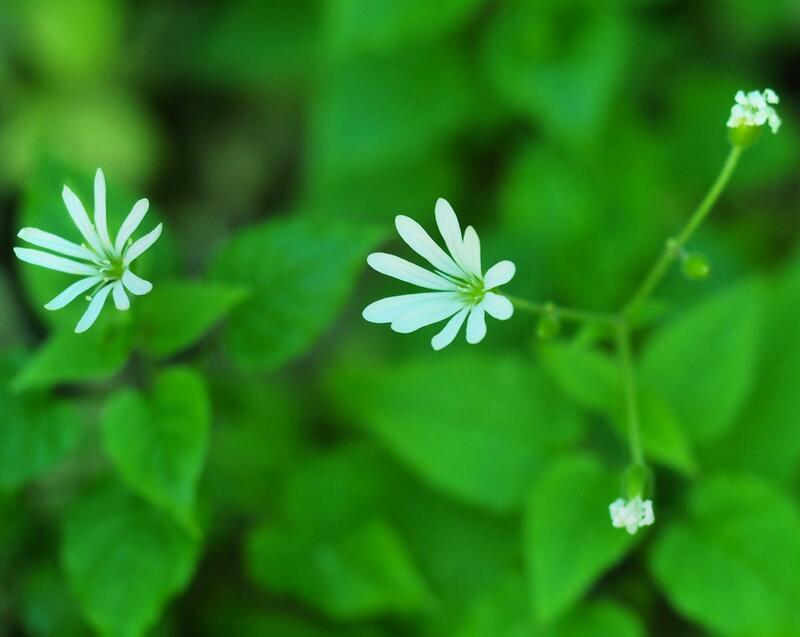 Stellaria nemorum subsp. 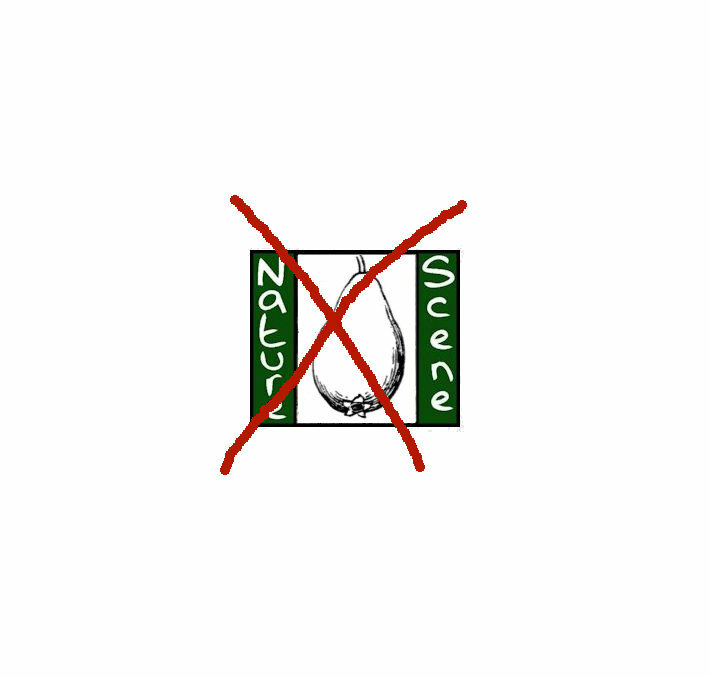 nemorum L.
Écologie : Bois humides des montagnes, dans une grande partie de la France et en Corse ; nul dans les plaines du Midi, de tout l'Ouest et du Nord. 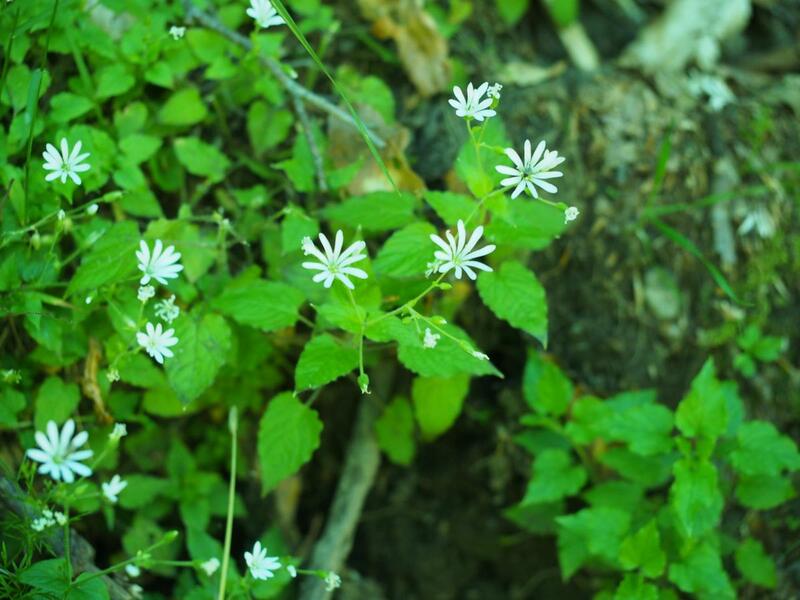 A straggling perennial with weak stems 30-50 cm high, which is found uncommonly in damp woods in W. and N. England and Scotland. Stem hairy ail round. 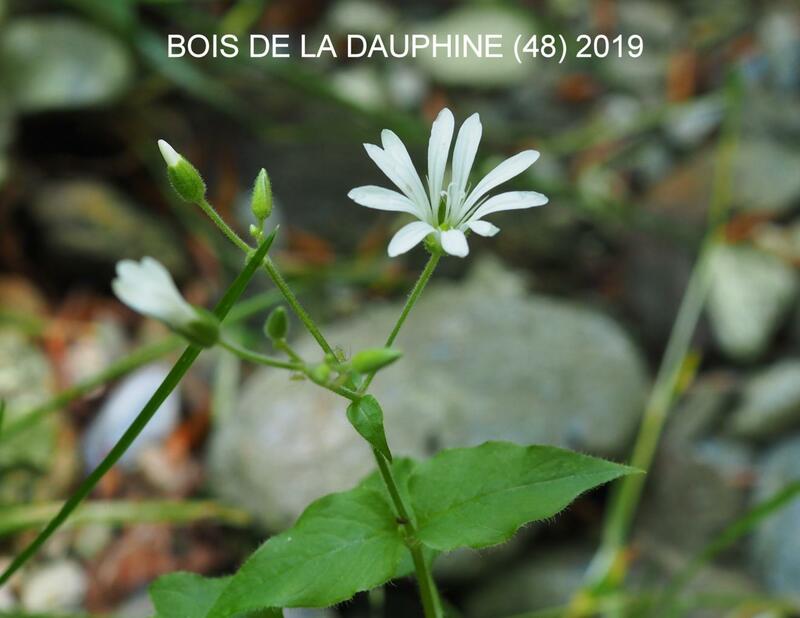 Flowers: 10-12 mm, peduncles 15-20 mm long; sepals ovate, blunt, hairy, many-veined; petals white, deeply bifid, twice as long as sepals; stamens 10. 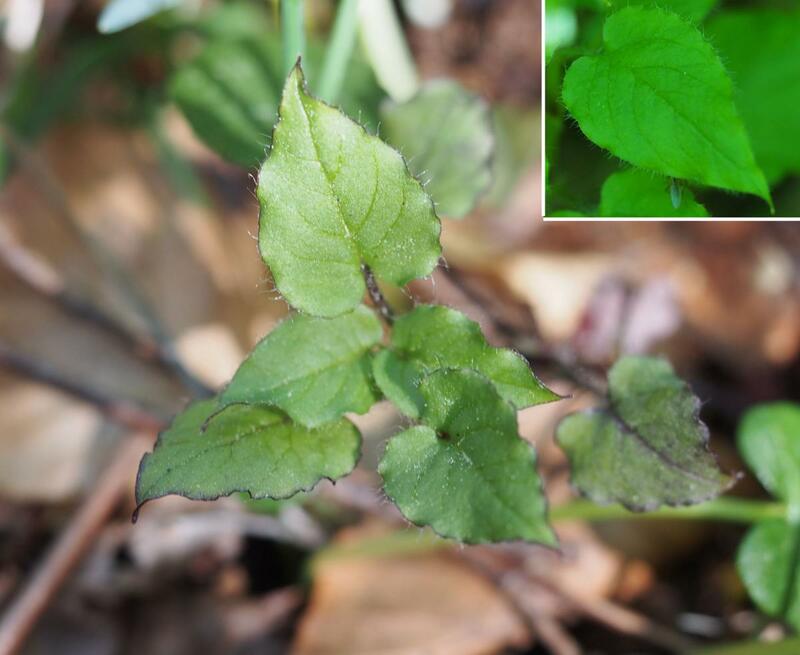 Leaves: ovate-cordate, entire; Iower long-stalked; upper subsessile, thin and sparsely hairy. Fruit: Capsule 6-8 mm long, ovoid, just exceeding the calyx; valves 6, erect; seed 1.2 mm, globular, with acute tubercles, orange.